Vincent Paolantonacci, his wife and their two children live in Corsica (France) in a rural area. 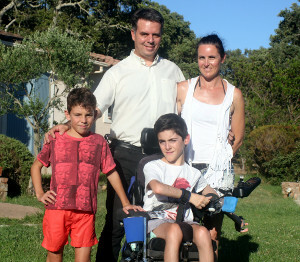 Their eldest son Hugo, is disabled and can only move using an electric wheelchair. Vincent becomes aware of the difficulties that people with reduced mobility face in their daily lives and to move around. He dreams of being able to give more freedom, autonomy and comfort to his son and to people like him. He studies all existing electric wheelchairs and prototypes to come. Finding nothing satisfactory to him, he will spend 2 years thinking and modeling a new concept of electric wheelchair that is both versatile and innovative to improve the independence and mobility of people with disabilities. 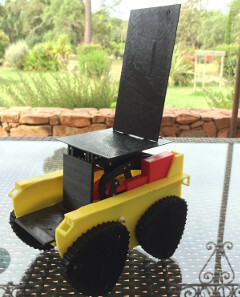 He then prints a first 3D model of his innovative concept and then presents his idea to the Aviva factory French competition in April 2017. 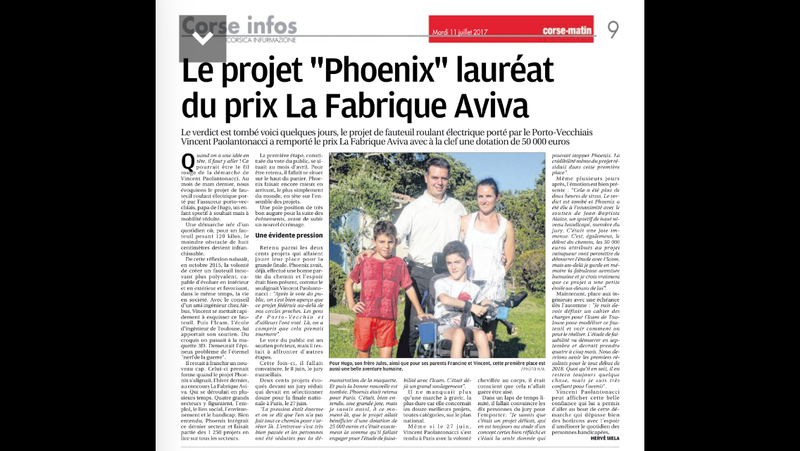 This is the beginning of the innovative electric wheelchair project he will call Phoenix.